Bring attention to your business with our new Swooper Flags at an attractive LOW price point. These quality flags are made with 100% shiny knitted polyester for bold vibrant colors. Each flag is dyed through at approximately 75% to 90% saturation making the back side a mirror image of the front. The curved sleeve is designed to easily be slipped over the pole (sold separately) for a free-flying edge that flutters in a slight breeze. The movement grabs attention without wrapping around the pole. Colors may vary slightly from one printing batch to another. 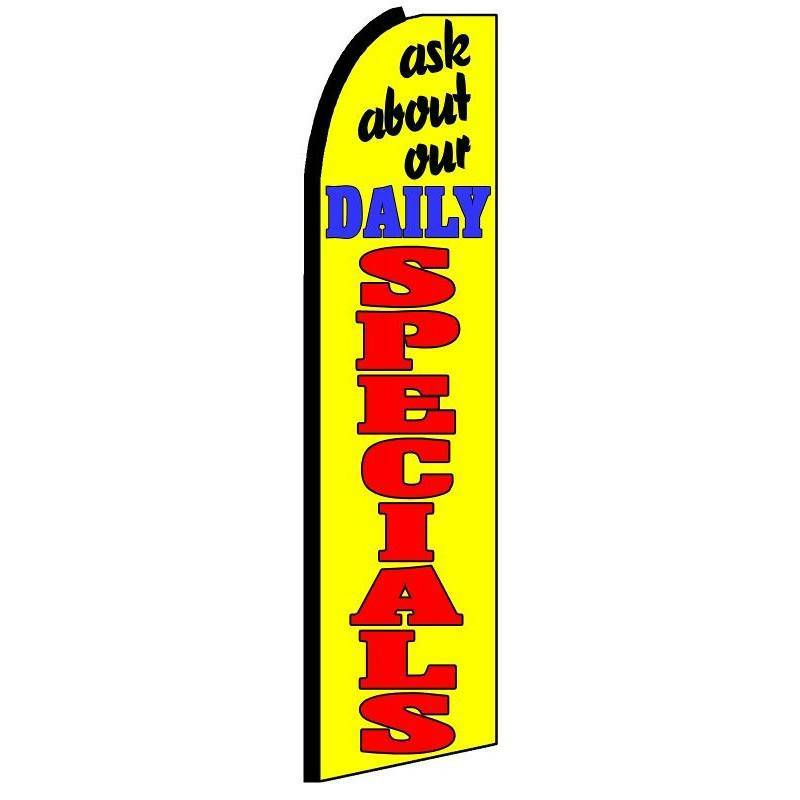 Flag size is is 38'' inches wide x 138'' inches tall and fits our exclusive hybrid tall advertising swooper pole (sold separately) These dynamic bold flags are an excellent cost effective way to increase awareness and bring more business to your doors.